→Copywriter Today Review: The Best Content Writing Agency? Copywriter Today Review: The Best Content Writing Agency? I have been building Amazon affiliate niche sites last couple of years, and made over 6 figures from Amazon niche site last year alone. The most challenging part of my journey has been, getting the contents ready. As you know, “Content is King” and if not done right, poor content can destroy your dream passive income from niche site. I started by hiring writers from oDesk (now UpWork) at the beginning. The act of “Posting job, selecting the right candidate, instruct them about the the contents, and finally getting the contents written after weeks”, is a time-consuming process. Most of the writers are expensive, and I had some bad experiences too. Eventually, I bumped onto iWriter.com after a year. It was a pleasant experience working with the writers there. But within few months of time, the quality of the contents degraded. Poorly rewritten contents, no attention to guideline, high rejection rate were the main problems. I could hardly work with the contents received. I had to request multiple editing and re-write requests for one single piece. The marketplace, by then, had flooded with spammers and low-quality writers over time. But a simple email from Google completely destroyed my confidence. All hell broke loose when Google hammered my websites with this “Thin Content Penalty”. This is a type of penalty that Google imposes when you write your contents without researching your subject properly. I investigated the issue, and found what iWriter guys did was simply re-write the contents, changed some words (and hiding the copy content issues from tools like CopyScape this way) and delivered me. As a result, the majority of my money making websites lose ranking. In my post “From Broke to 6 Figures Journey” I documented my experience in detail. I started searching for a good alternative of iWriter, and I stumbled onto CopyWriter Today! It is not your traditional marketplace, rather a copywriting agency. They provide content writing service on monthly basis. The best thing about them is their writers are 100% native Americans! How Do They Go About Their Jobs? Their process of producing incredible content is excellent. When you submit your content requirement, the manager will assign someone matching the credentials for that type of content. Then the writer will research, come up with ideas about the content, draft it and finally write the piece on the topic you provided. Once the content is done, the editor will scrutinize the content for errors. If there’s a contextual or grammatical error, the content will be sent back to the writer for a rehash. After that, the editor will check the content again and once it is okay, the content will be delivered to clients. If you find the content is not matching your criteria and preference, they’re prepared to revise the content for as many times as it takes! I am simply amazed by their quality of service! Don’t drop your shoes just yet, there’s more! Read this CopyWriter Today review to develop a deeper understanding about how the system works and how you can benefit from it. What You Get with this Deal? 3 – 4 articles / 3000 words Per month. Need other form of content, or details of content delivery schedule? Check out the image below. Gabe Arnold, the founder of CopyWriter Today has explained the details on this video on how the company works. If you need more content each month, all you need to sign up for additional subscriptions. The subscription fee is $249 a month (I managed a big discount for Marketever readers, you can sign up at only $129 per month). Whether you are a niche site owner, a small business just getting started, an established company looking to build your online presence, or even a large conglomerate building SEO credibility, Copywriter Today provides high-quality contents, regardless of the subject or type of content you’re looking for. I have been using CopywriterToday service for a year (to be exact, 14 months when writing this review), and paid thousands of dollars as membership fee. So far, I love the service. They are delivering exactly the kind of content that is fit to publish on my niche sites (and on my client sites too!). My CopyWriterToday Dashboard, I have over 25 memberships with them! Let’s get into details about the kind of service this writing agency offers you and how? Writers who work for Copywriter Today is really skilled, well-versed in AP Standards. They are selected to write for Copywriters today after going through a strict interviewing process, and must pass no less than three rounds of testing. For my subscriptions, they provided few of the writers for me, and after months’ of work, these writers know what exactly I’m looking for. They are super skilled on writing about the niches I work. Every piece I receive is a one-of-a-kind article, written specifically following the guideline I provide. The writers do all research, and come up with the well written high-quality contents I’m looking for. The writers sift through a large amount of information on any given subject before selecting which URLs are the most reliable sources. They gather resources, use relevant links, and write clear, cohesive text. All contents are well-researched and fact-checked, which is very important to build readers’ trust towards a niche site or any other online business that requires written contents. After a writer delivers a content, then, the piece is handed off to an editor. The editor rereads the piece with fresh eyes before sending it over to for final review. No less than three people read the article and comb it for mistakes before the content is delivered. This is one of the best features that’s making Copywriter Today my # 1 source of getting contents. If you aren’t a writer by trade, sometimes it can be difficult to write high-quality contents. Copywriter Today enforces the AP Style Guide standards, making each piece consistent and without any misspellings or grammatical discrepancies. If you don’t know what AP Style standard is, I’m quoting a line from Wikipedia. AP Stylebook is an English grammar style and usage guide created by American journalists working for or connected with the Associated Press over the last century to standardize mass communications! 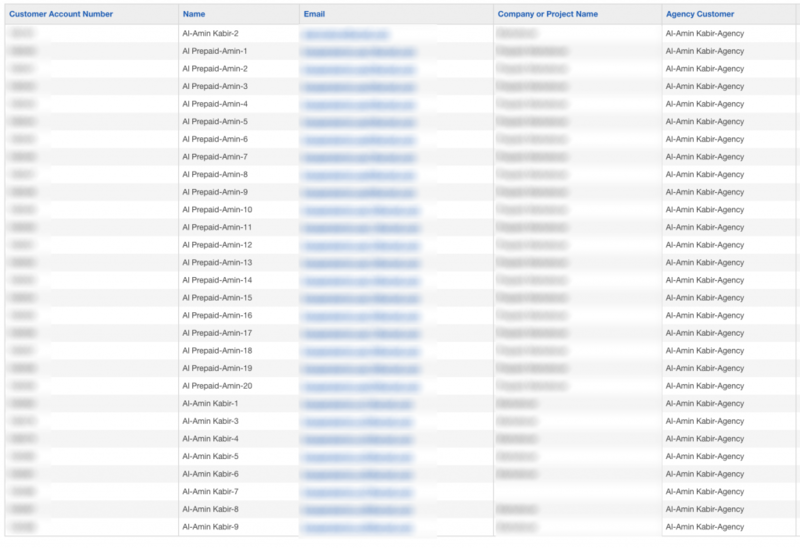 Here is the Google Analytics screenshot of one of my niche sites. I compared the traffic with last months’ traffic, and a straight 38% click growth rate, and 38.69% impression growth rate. The only thing I did is published some fresh contents (and you all know, Google loves fresh content). To keep your niche sites updated with fresh contents on a regular basis, CopywriterToday is the go-to service. They provide monthly based service, and deliver contents periodically. I don’t care SEO optimized contents much. I instruct writers to focus more on quality. Still they maintain all the on content SEO standards. Once a content is delivered, you don’t need to do any sort of optimization or editing to make the content SEO friendly. Looking for a rush job? Promised someone to submit the guest post, but yet to start writing? Copywriter Today has a faster delivery option, where they deliver content as fast as in 24 hours, for a small fee. This feature helps me a lot to submit the guest post on time. CopyWriter Today client dashboard. You can add voice note too! Not sure what to write about? They’ll suggest you! Copywriter Today will provide whatever kind of content you’re looking for, not just blog post articles. One of Copywriter Today’s services is to generate a list of 15 potential headlines for you. 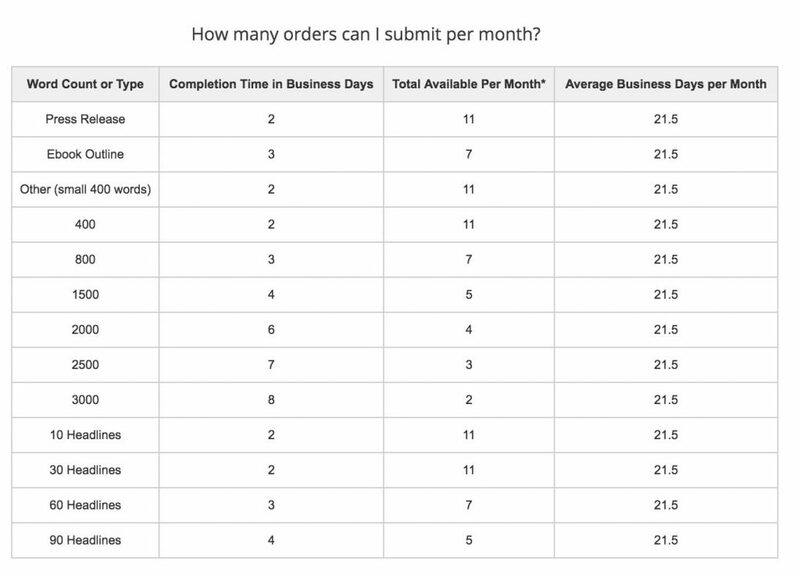 If you are running out of idea for your niche site content, just submit an order. 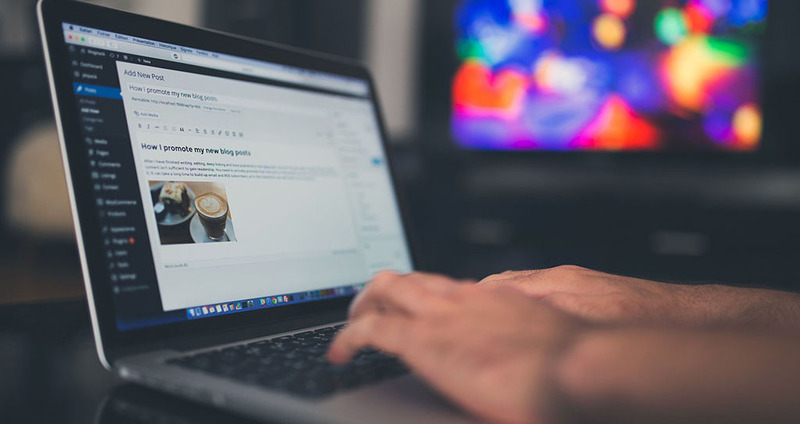 One of the writers will research your industry, competitors, and relevant authority sites, finally come up with some content suggestions for you. This is the best and highlighting aspect about Copywriter Today. Facing an issue with the contents? The Delivery time may be? The editing standards? You can go to their website and chat with a live representative, send an email, or even call, and someone will be there to answer. If not, follow up is typically less than 12 hours. Tawnia from Copywriter Today is hugely helpful and respond to any queries you send. If you have any feedback or need support, you can directly email to Founder Gabe Arnold too! Whenever I needed, I just asked them on the backend, and they resolved my issues, so fast. I can still remember when I signed up for Copywriter Today. I was so confused about the service, but I signed up seeing 100% money back guarantee. Fortunately, I didn’t have to use the money back option, but you are in safe side when starting. If you don’t like the service, simply ask for refund. It’s a monthly based service, you will only get a fixed number of articles per month from a single membership. If you need some extra content for a month, or two, you need to sign up for another membership. If you don’t assign them any content to write, you will still have to pay the membership fee after the subscription period is ended. They have wide range of writers, most of the cases, your contents for the same site will be written by multiple authors. Tone and writing style will be somewhat different. Sometimes the writers don’t follow the guideline carefully, they write of their own without the outline provided. You need to submit for a revision again to get it resolved, and the process is time-consuming. Copywriter Today is every niche site’s content solution. They employ professional, thoughtful writers who know their craft. The piece is reviewed no less than three times before it is delivered. The customer service is responsive, the content is researched and thought-out, and the authors write clear, original content quickly. I have been writing this review after using their services for a year, and spending thousands of dollars in subscription fees with them. 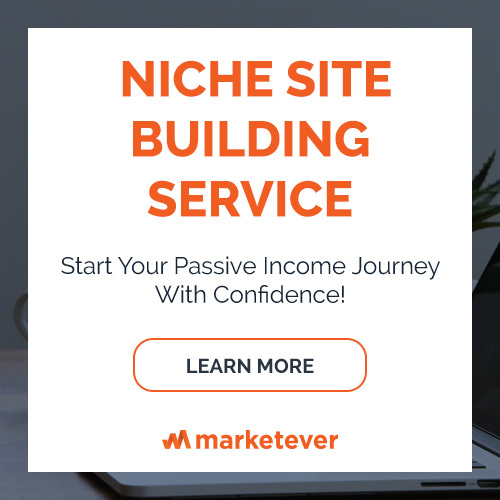 If you are a serious niche site builder, and want to build really high-quality sites with well-researched contents, Copywriter Today is your solution! Long Tail Pro Review – Live Up To The Hype? A detailed review on copywriter today. All native writers and having AP Style standards are great advantages for this marketplace. This writing agency should be perpetual solution for articles of Amazon affiliate sites. Much thanks Al-amin vai for writing this sharp and clear review. Expecting a new content about advanced link building from you. Is it one of these three options, or you get all of these? They work from Monday-Friday, 24 days a month. If you assign them a 1500 words article, they will deliver it after 4 days. Then you assign another (or pre-assign more contents at a time, 4 max) 3000 words content, they start writing after the first one is done. They will deliver the 3 thousands word article after 8 days! You can get any length of contents using their service. To get the delivery time details, check the delivery calendar image on the post. 3. 3 – 4 articles / 3000 words Per month. question is Will they provide all above (1, 2 & 3) in a month or anyone of the above said? This is exactly what I looking for! I just finished the keyword research and ready to start writing bunch of article about reviews and resources of my niche product, but I just difficult to find a great writer on. Thanks to Al Amin for this great post. I’m glad that you loved the post. Didn’t know about them . I would love to try them out. Thanks for the review though. Just signed up with Copywriter today and ordered a couple of articles.I would stay with them long if the result is satisfactory. Let’s see. I have a question that has been bugging me for a while . When i choose the Article title should i include The Product name in the Title ? Which of the following Title should I choose ? Thing is i talked to them but they are not providing service in Bangladesh!!! The pricing is little confusing.The subscription pricing is 197$. Does this price (197$ ) include all the following. Or the content order price is charged extra agnostic of the subscription price. Didn’t know about Copywriter. Thanks for your kind information. Planning to take service from them very soon. 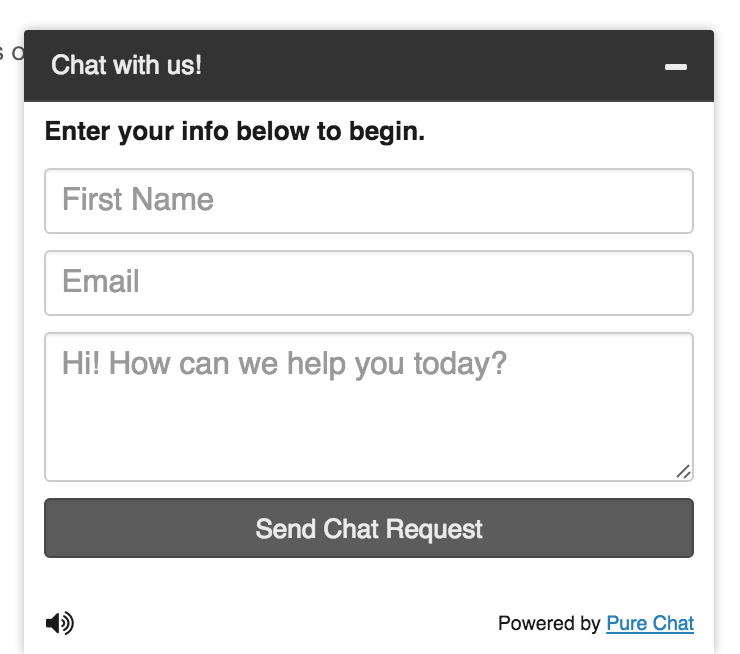 I was visit the https://copywritertoday.net and when I was enter there site manually automatically a live chatting option message me, and after sometime latter he/she ask me where I am from, and when I answer I am from Bangladesh than he/she replay me Our service Is not available in Bangladesh. If this is the condition, than What can I do? Very thankful to you for sharing your great experience with a good service provider in article writing. Can you please explain how this “7 day trial” will work . Thanks for your great review..
That discount link is no more available. 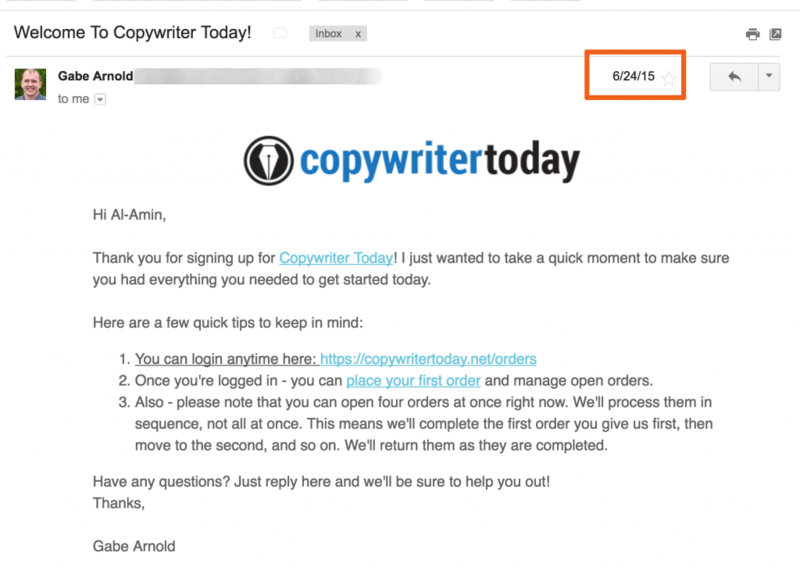 You directly get the discount bonus from the copywritertoday team. Thanks. I didn’t know about this before read your email and post review. About the discounnt code, you give in the email this “awesomefriend” but when i go to the page with your link post i see other “SV2016″… both are valid..? Thank you for sharing, great post and review. I will try Copywriter Today and order a couple of articles. Al-Amin vai, first time learning about copywriter. But I want to know more about “7 days trial”. How it will work? Please. I don’t know about copywriter thanks for sharing this useful post. I have learned many new things from your post and sure, I gonna to try with this. age ei site sombondhe jantam na. shear korar jonno thanks! Anyway apnar new update pacchi na keno vai! It is useful information copy writing nowadays it is important save time to create content everyone love to copy writing. Content writing today is the most effective tool for marketing. If you have unique & interesting content and you promote it well then it will definitely help you to establish your brand. DubSEO, one of the best content writing company which provides SEO services along with web design and development have a separate content writer team who produce best and unique content for Client’s website. Al-Amin the discount offered by you and the free 7 day trial is not available presently..Can you update on this aspect..great article.. I am not getting the link for discount. Please confirm whether it exists still or not.. Thanks for heads up regarding copywriter today. Had no idea about them prior to reading this article. Might be a nice add to the upwork writers. Thanks! Interesting, I’ll have to give Copywriter Today a try. I was going to give Scripted a try, but this one sounds more appealing. Thank you! 1. 1k words= how many dollars? if you let me, that will be great for me! We’ve used Copywriter today. If these are English speaking writers than I’m a giraffe. I had to rewrite every article they wrote and check EVERY fact that they tried to use in my articles. In the end, I canceled my service and still haven’t published more than half of what they wrote for my company. Siteground review gives decent hosting plans superior solutions.With most recent rapid innovation influences your web to website snappier and extra more secure than ever.Siteground review audit demonstrates the extraordinary alternatives and its significance. Thanks for such a very nice idea, really very informative post. Really thanks for your useful content. I’ve got the same concerns that Joel above mentioned. We looked into copywrite vendors and found that what they showcased as part of their sales/marketing effort differed greatly from what they actually produced (we reached out to clients of theirs after viewing their marketing materials). Producing content is only half the job. Producing legible, cogent, understandable content that is indiscernible from what we ourselves write is where the value proposition SHOULD lie. It’s almost worse if it comes off sounding stilted or if the author isn’t a native English speaker (if the site serves native English speakers like ours does). actually, i had a hard time to find a good writer, and with this article, its really help me to find a good writer. 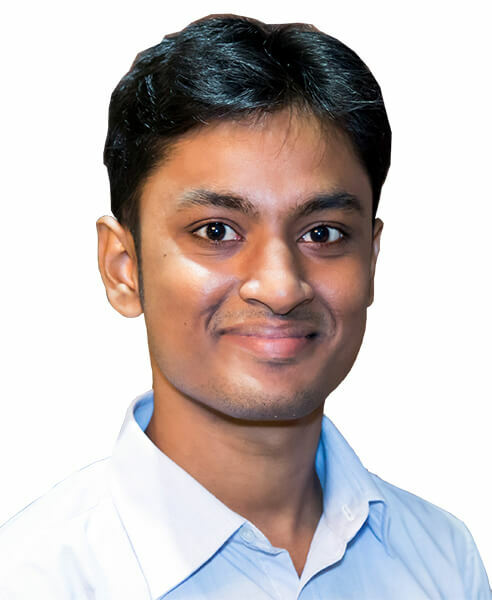 Al-Amin Kabir is a multi-award winning entrepreneur, blogger, affiliate marketer & speaker who teaches how to build profitable niche sites. From Broke To 6 Figures In One Year – Here Is How I Did It!